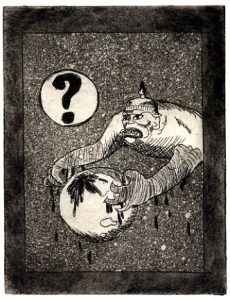 After 1914 considers the individual contributions and collective ideologies that underwrite global conflict, then and now. 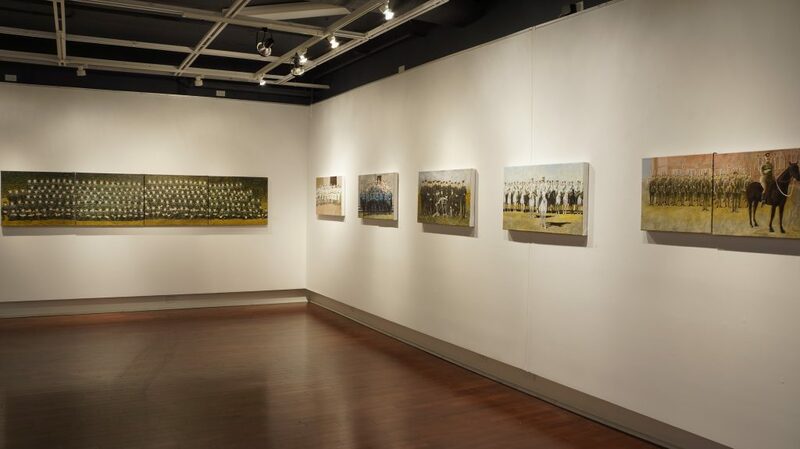 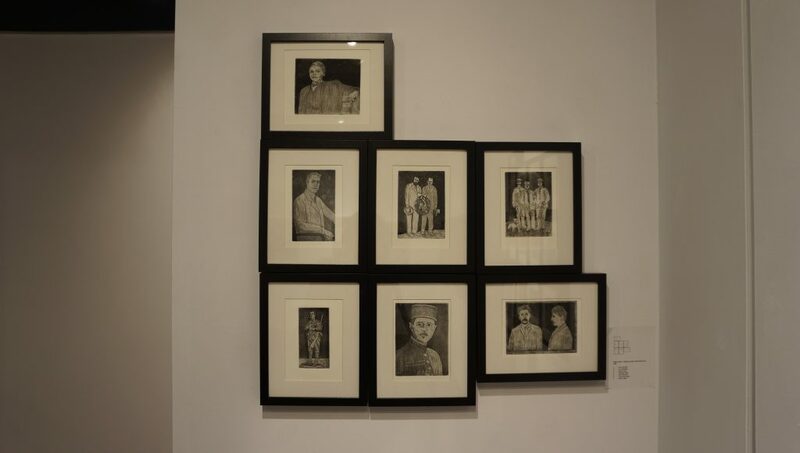 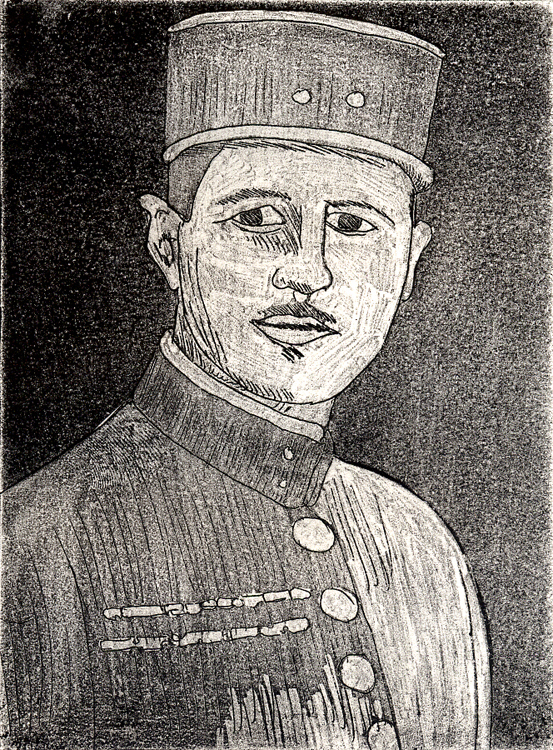 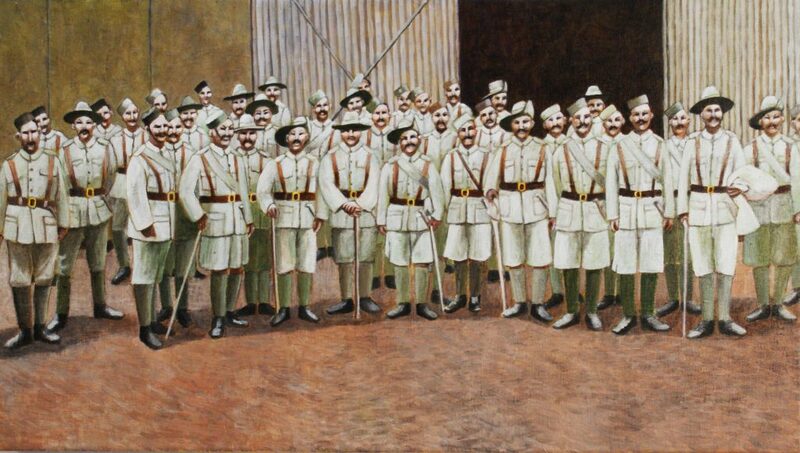 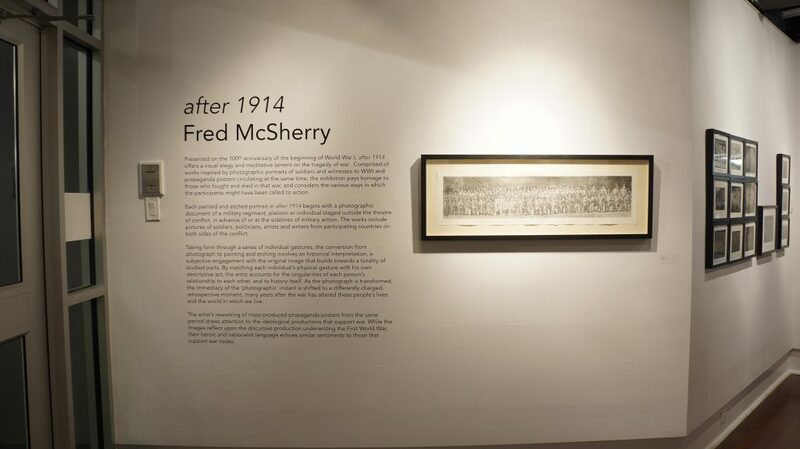 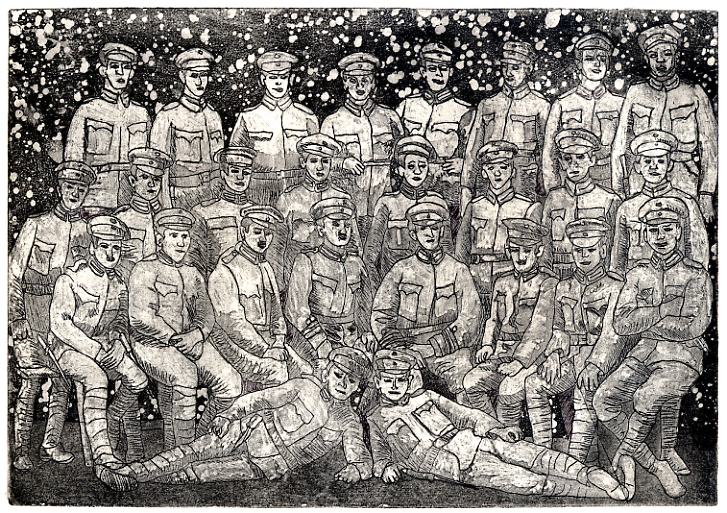 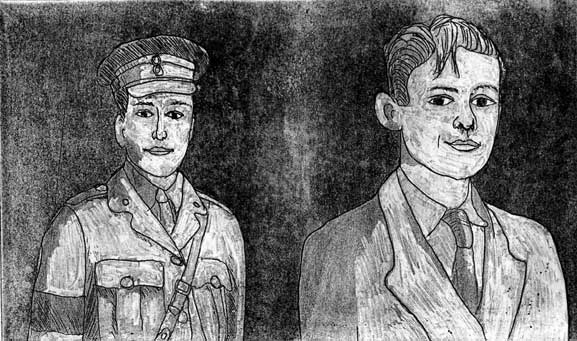 The paintings and some of the etchings rework photographic portraits of military personnel from different countries involved in WWI; to date portraits from Canada, the US, France, Germany, Russia, Turkey, Belgium, India, Nepal and India have been completed. 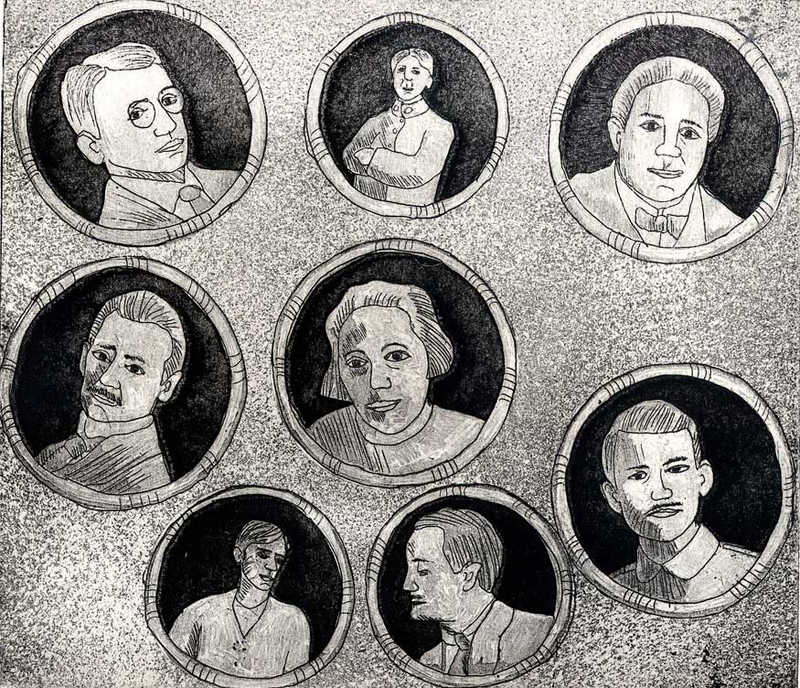 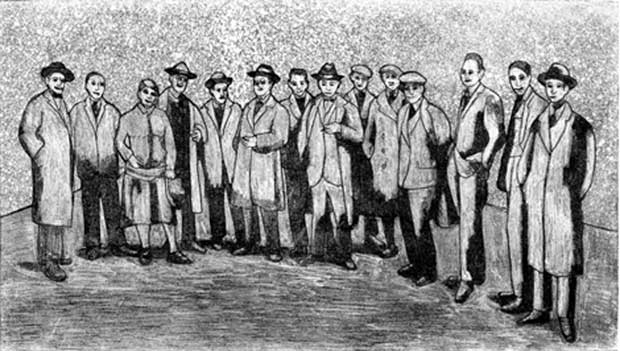 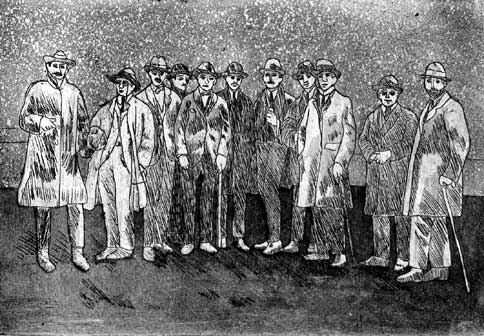 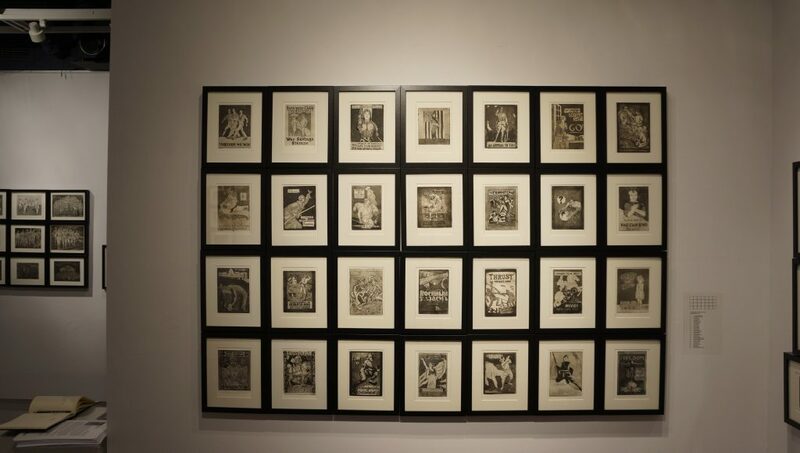 In each of these works special attention has been paid to the individual parts that make up the whole: unique faces and stances separate the one from the many, the individual from the group. 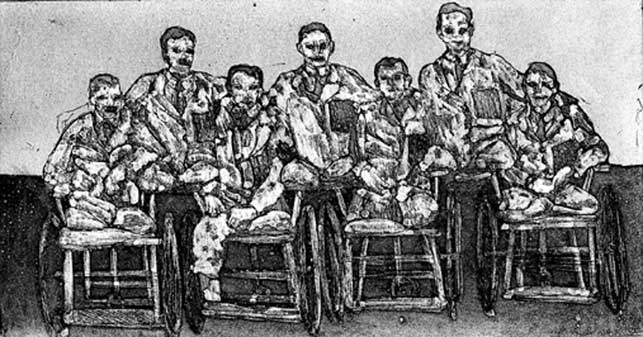 Just as differences within each order are made apparent, similarities in circumstances from one to the other come to the fore. 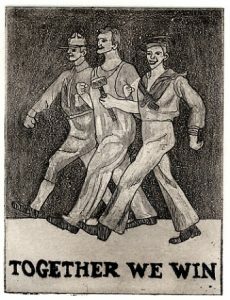 Regardless of personal belief or particular situation, all participants are in harms way, all are at war. 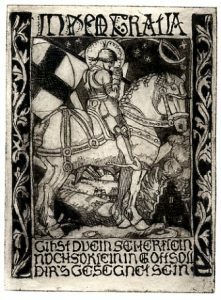 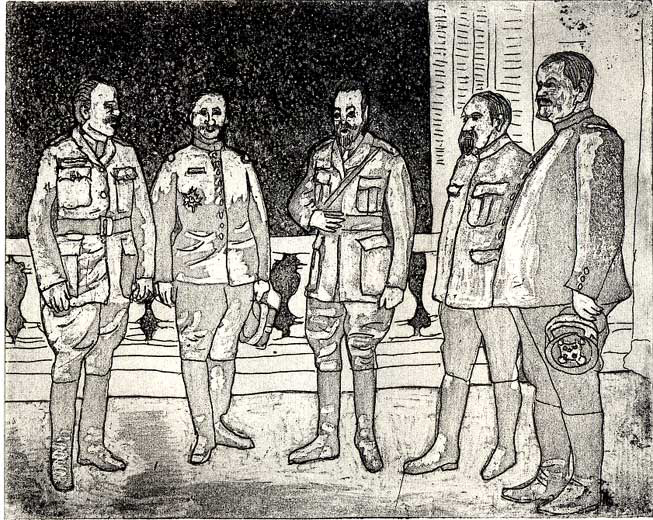 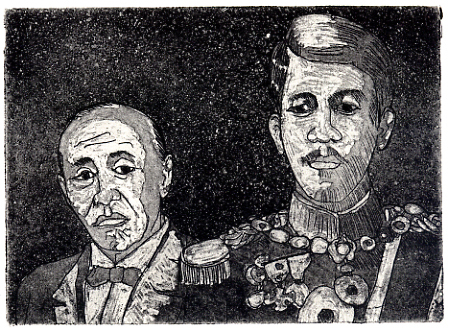 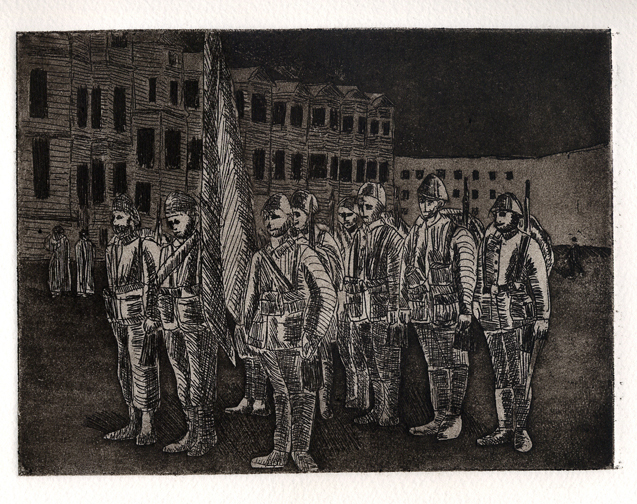 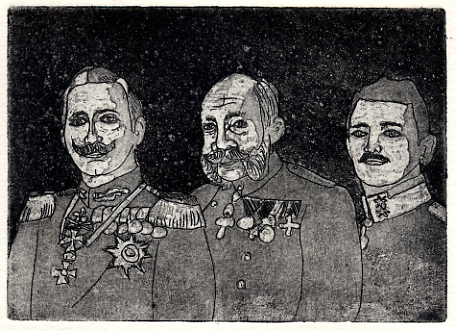 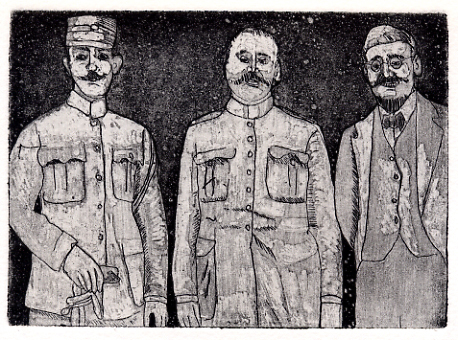 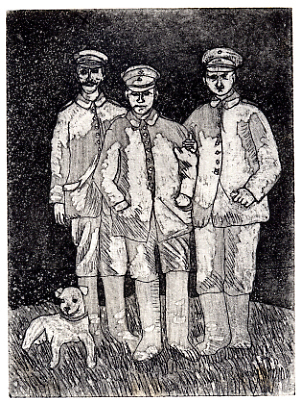 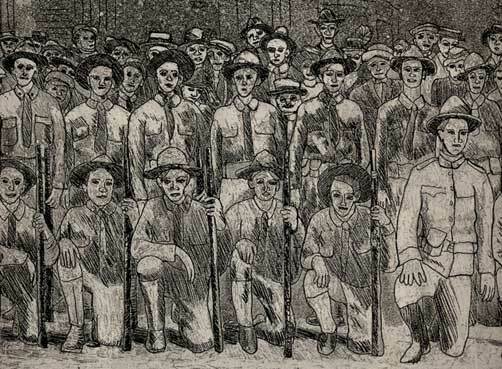 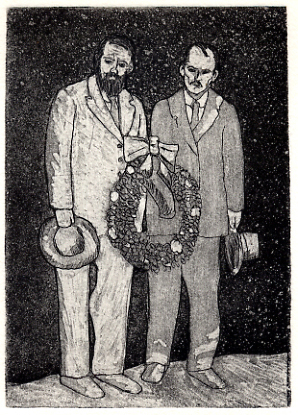 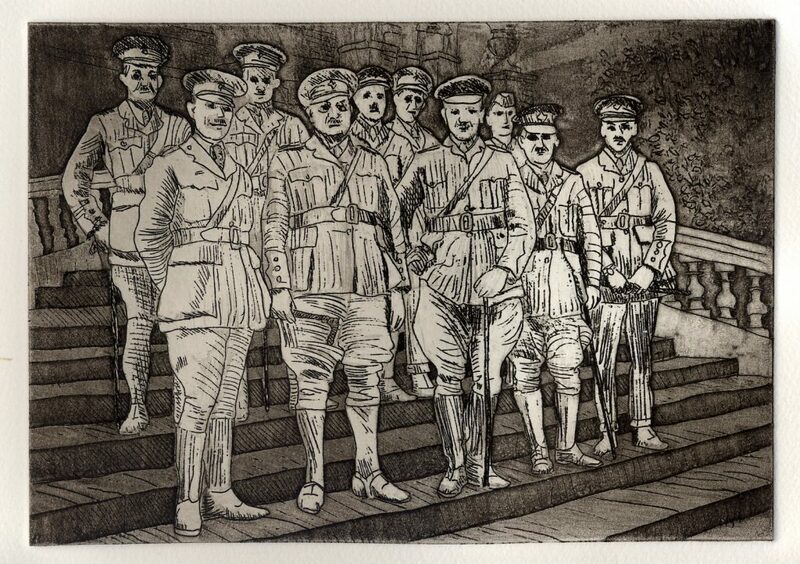 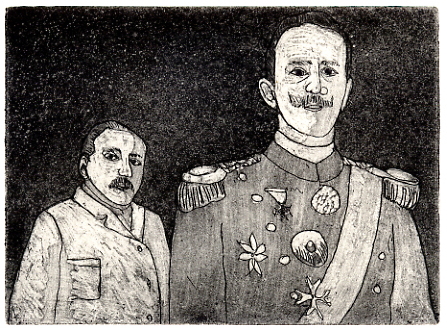 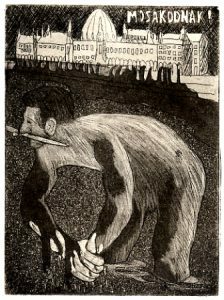 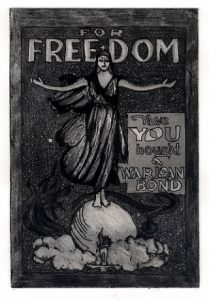 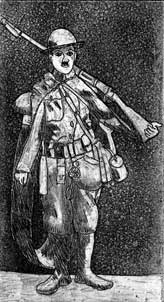 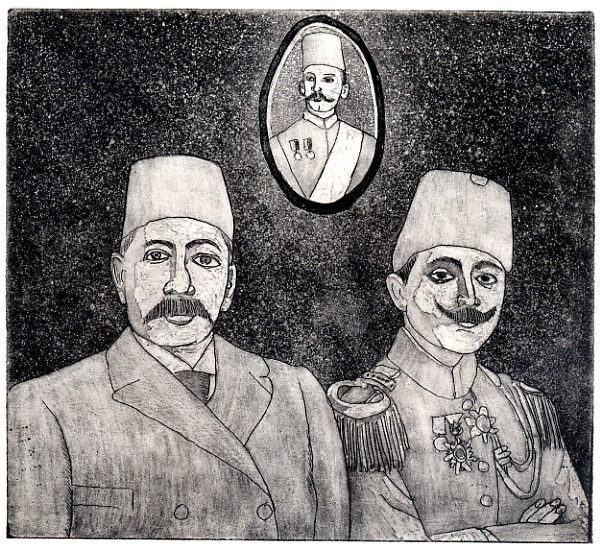 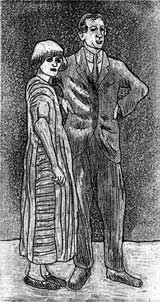 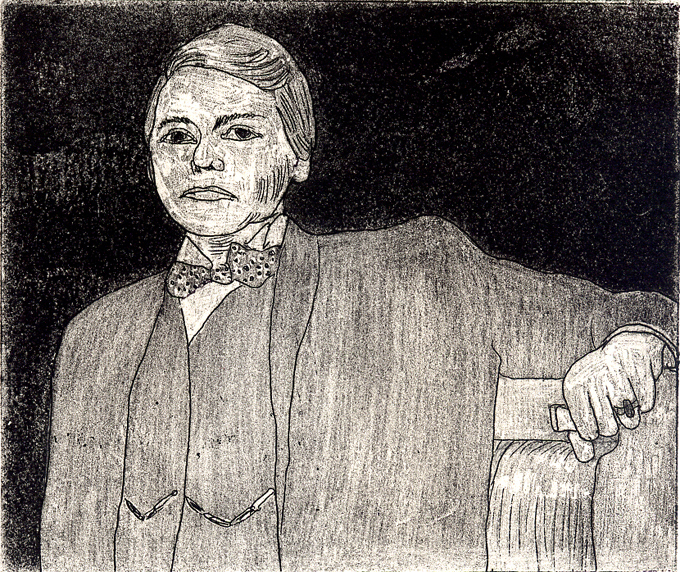 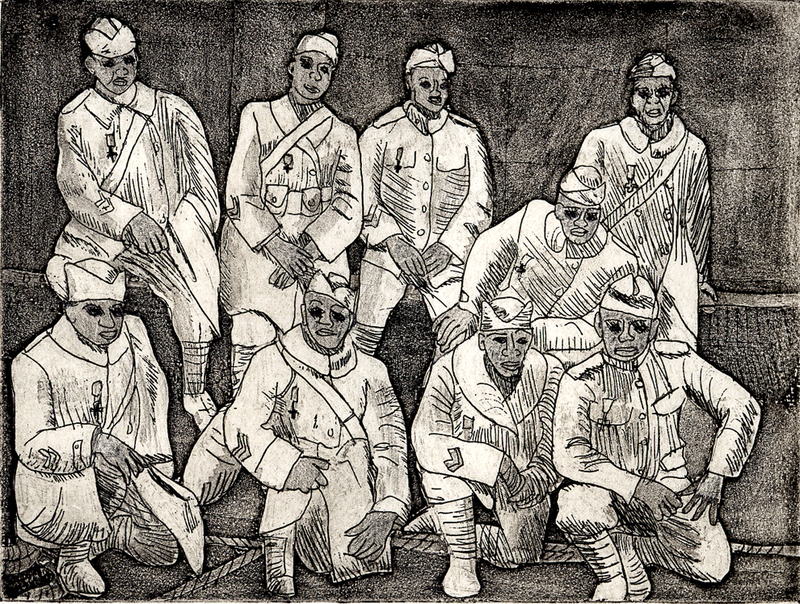 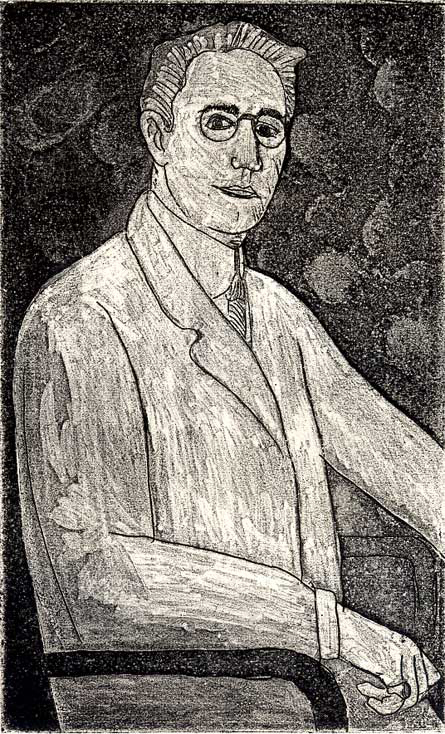 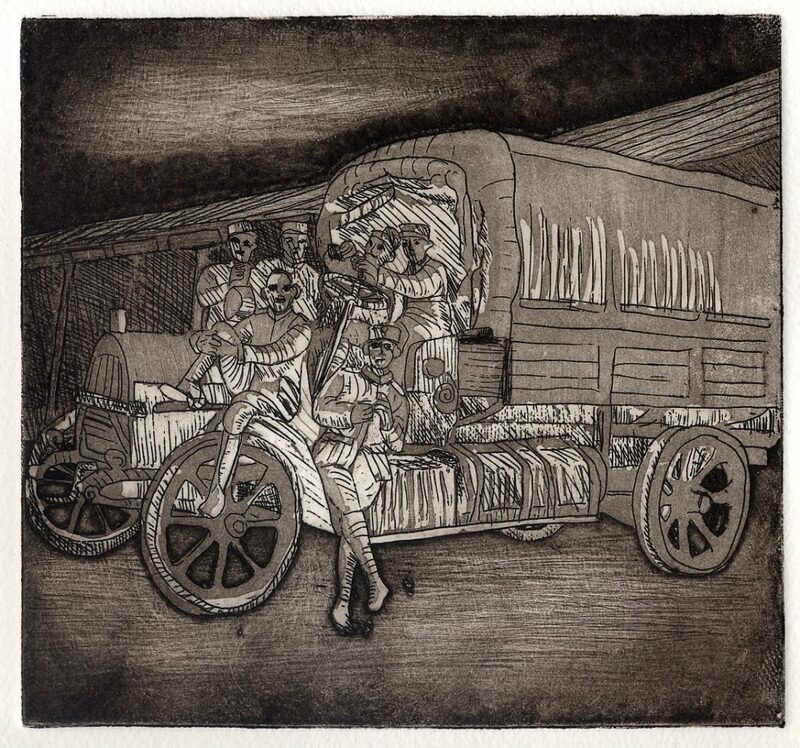 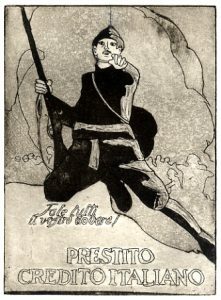 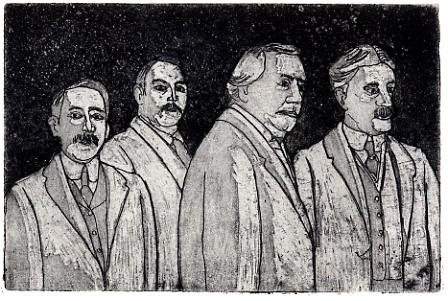 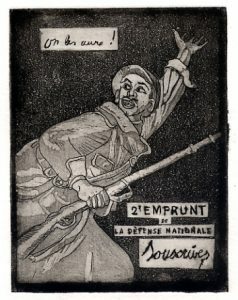 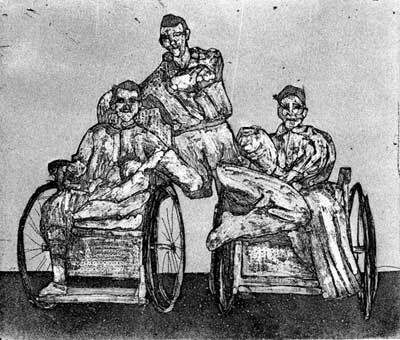 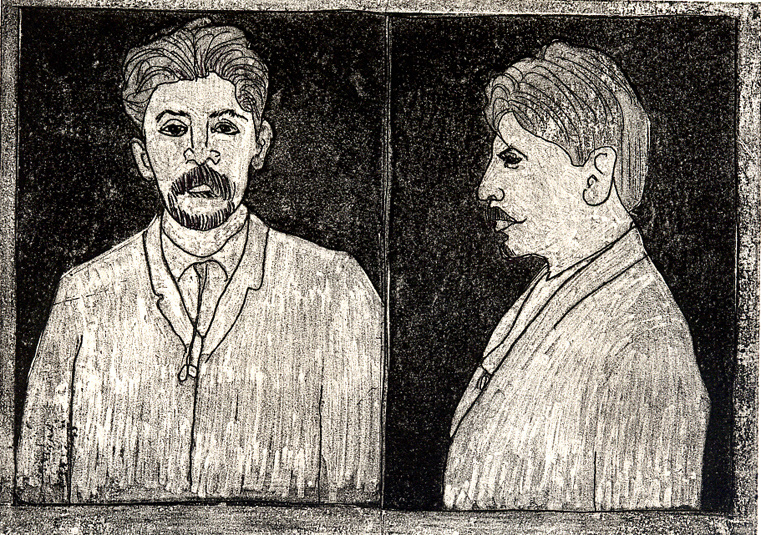 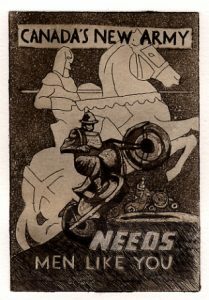 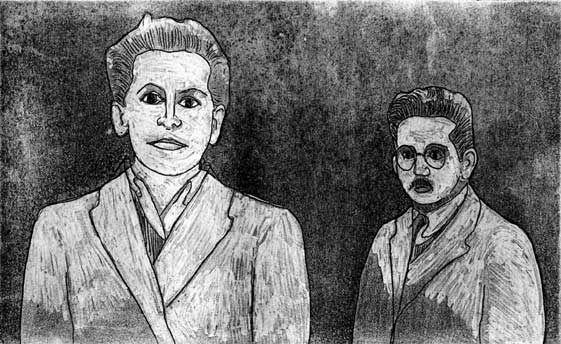 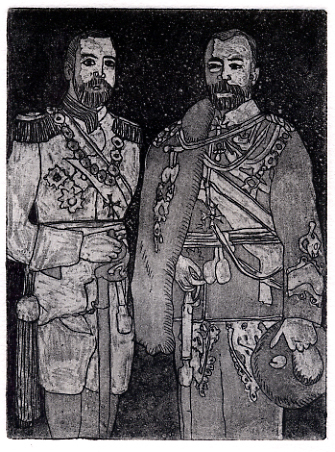 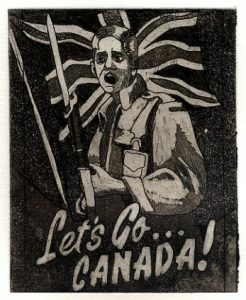 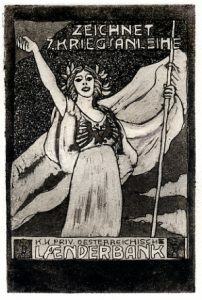 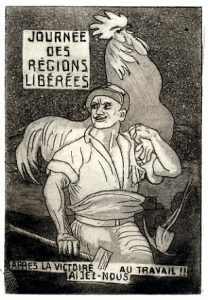 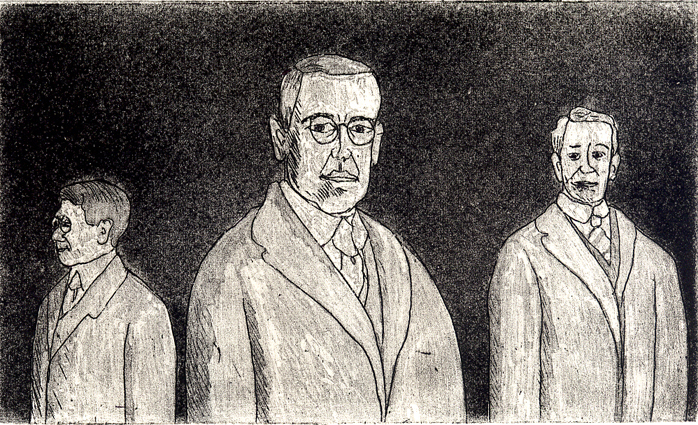 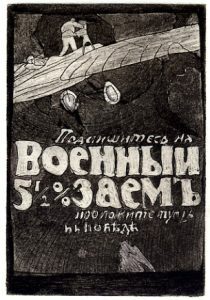 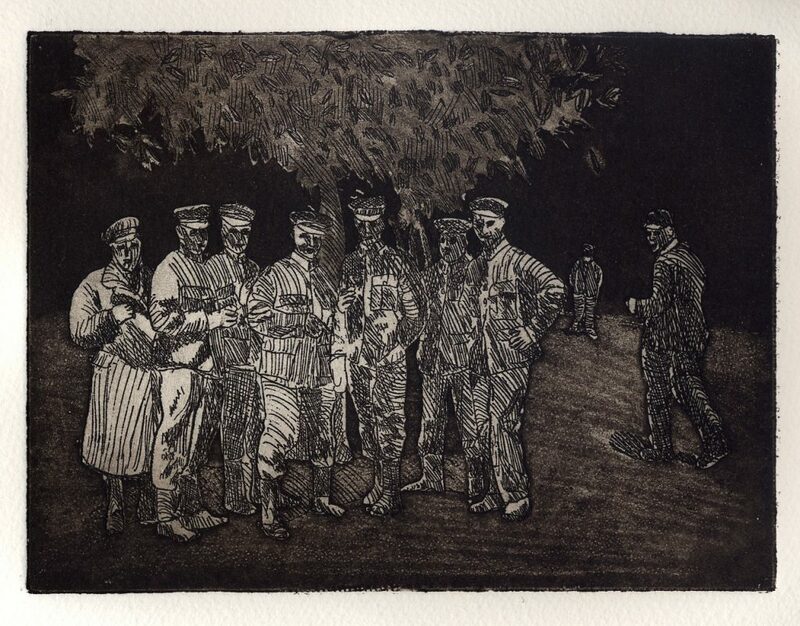 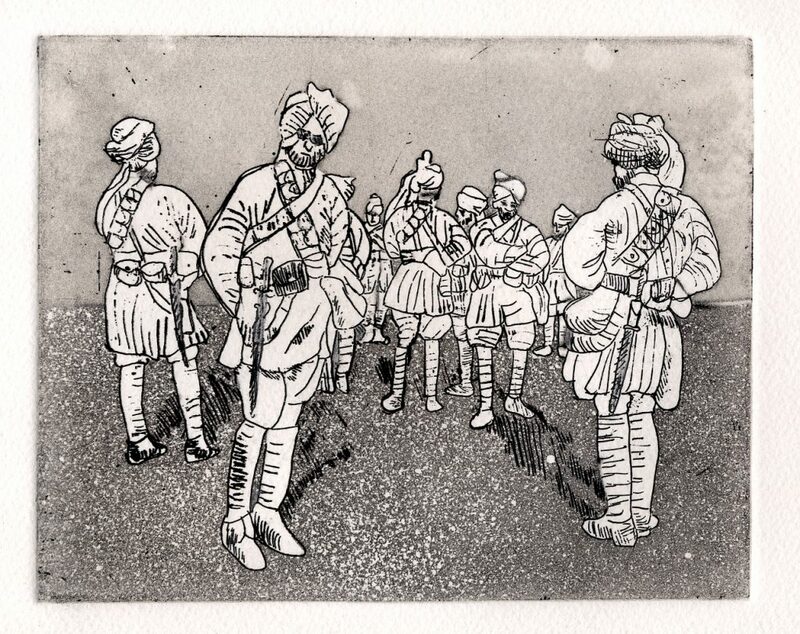 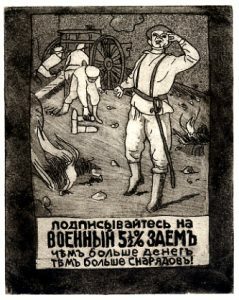 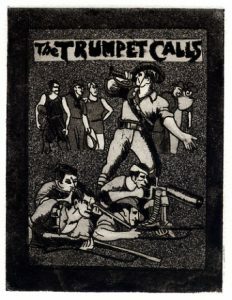 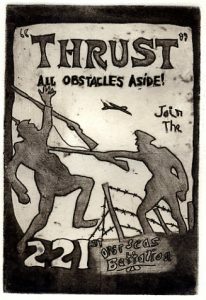 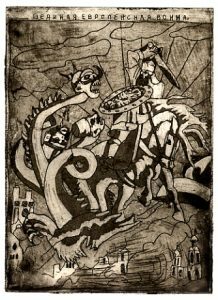 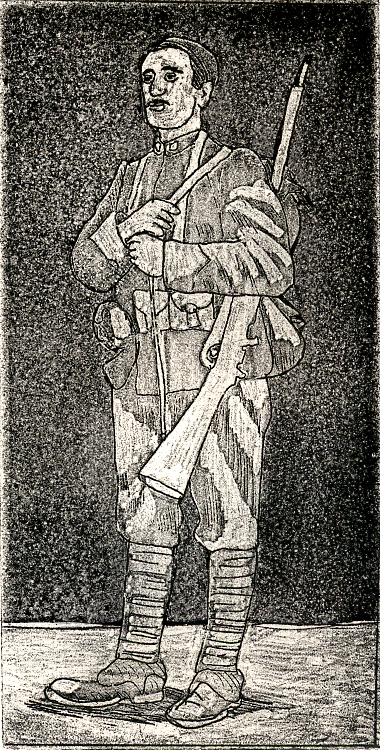 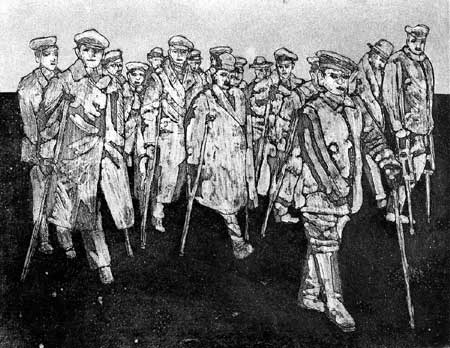 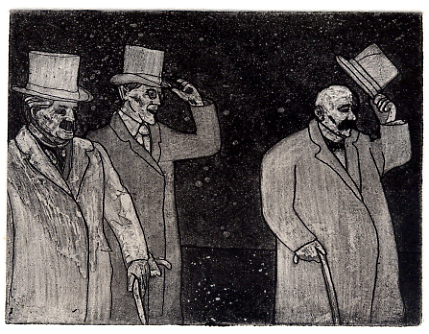 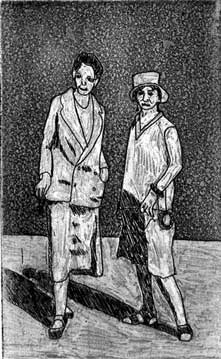 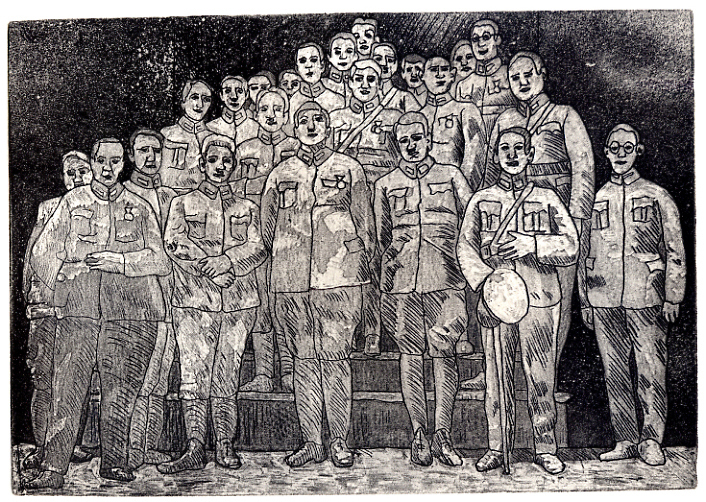 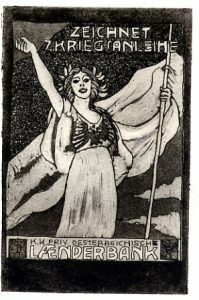 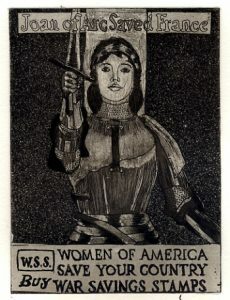 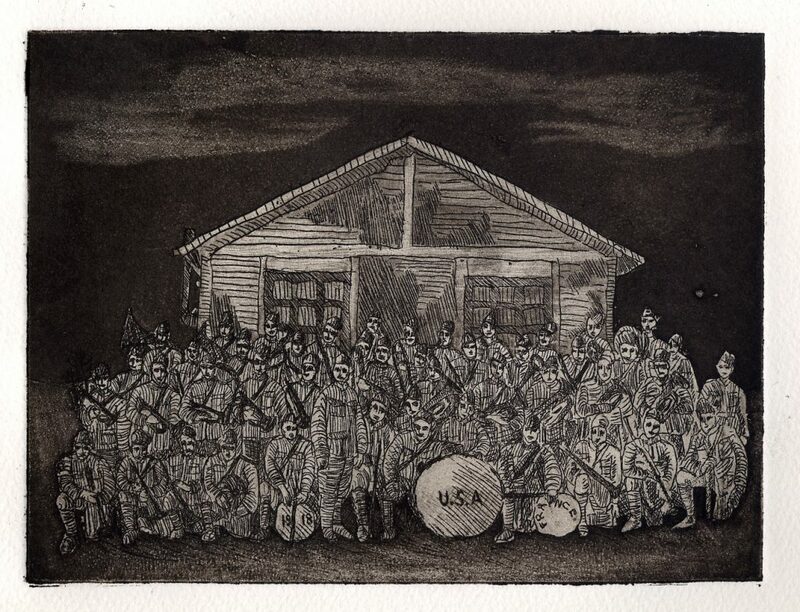 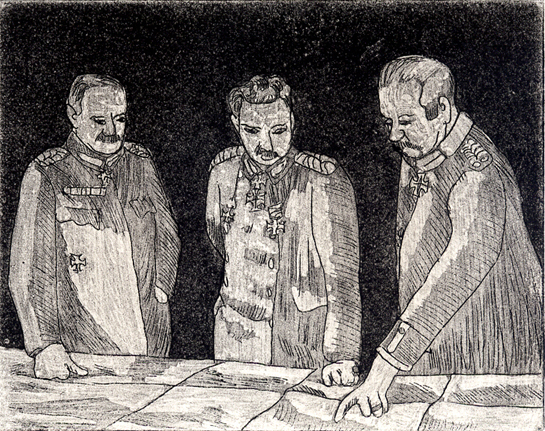 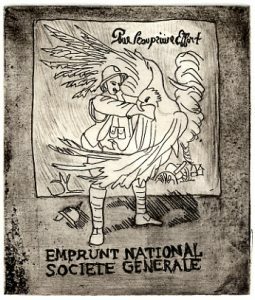 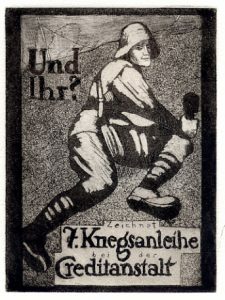 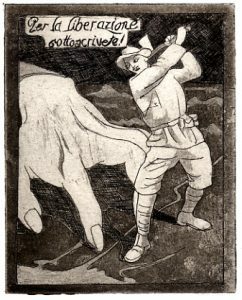 The balance of the series of etchings considers the ideological productions supporting war efforts. 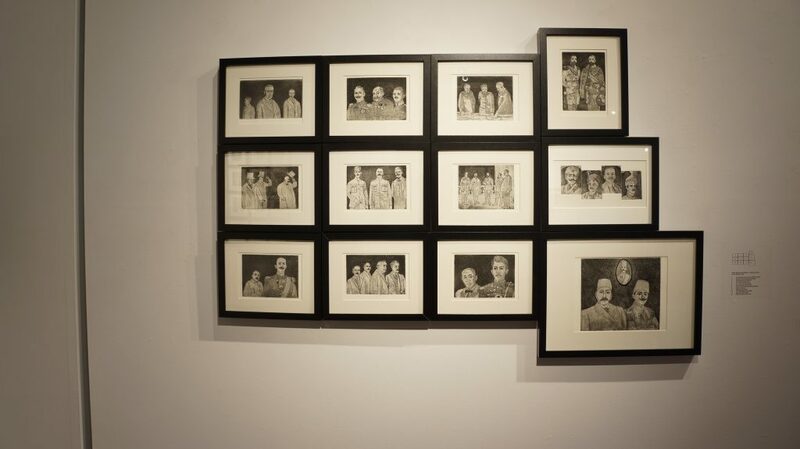 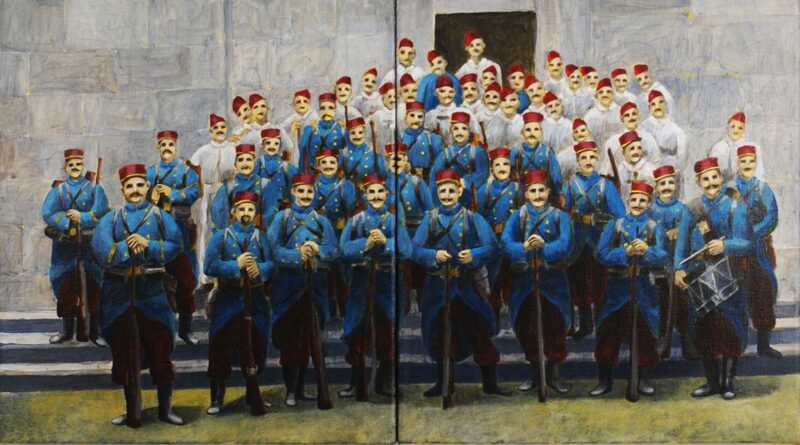 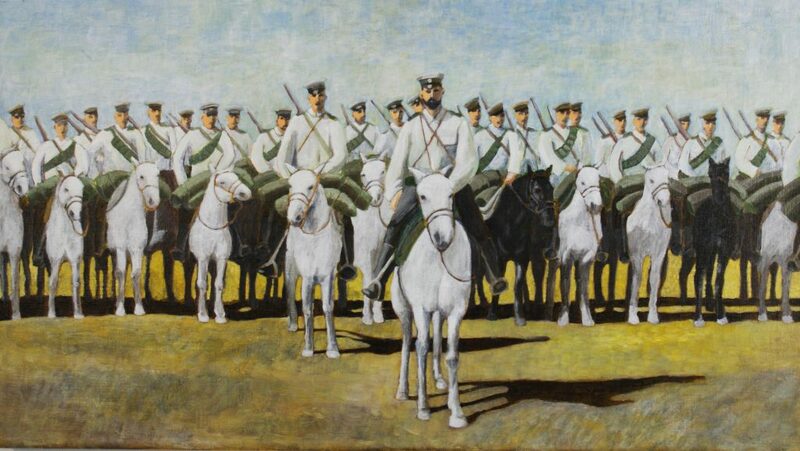 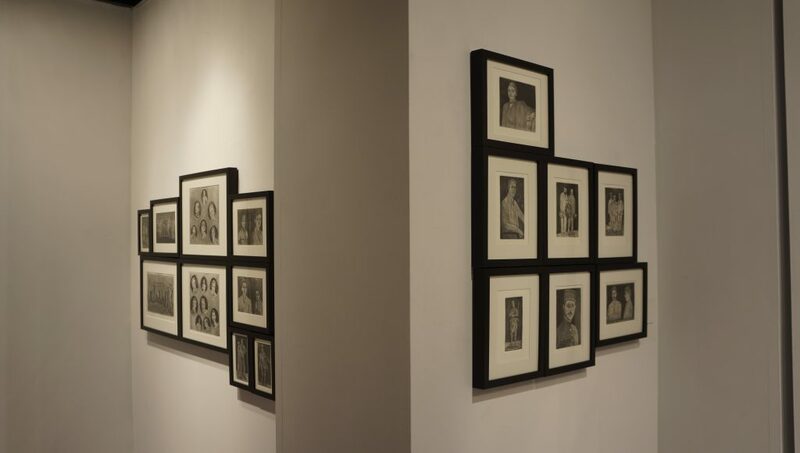 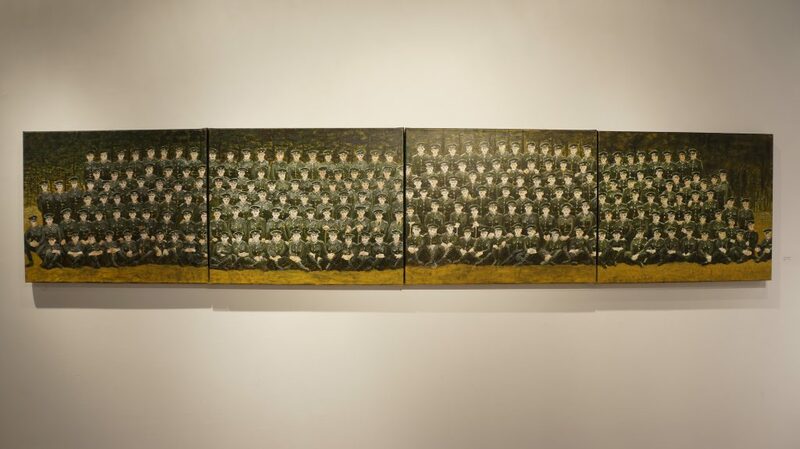 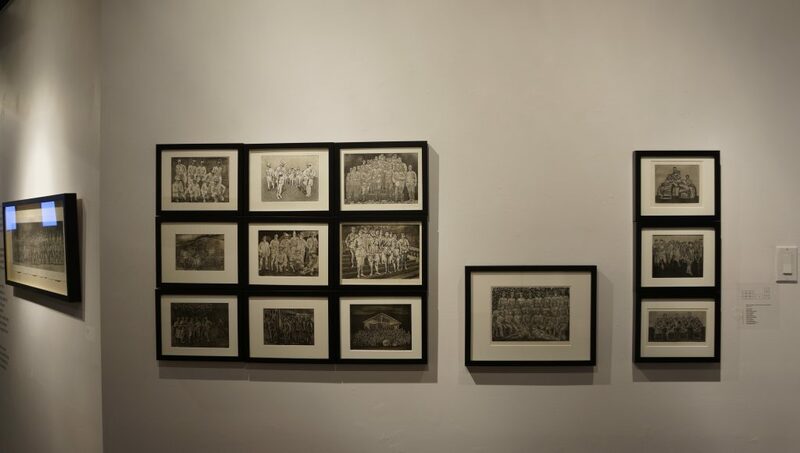 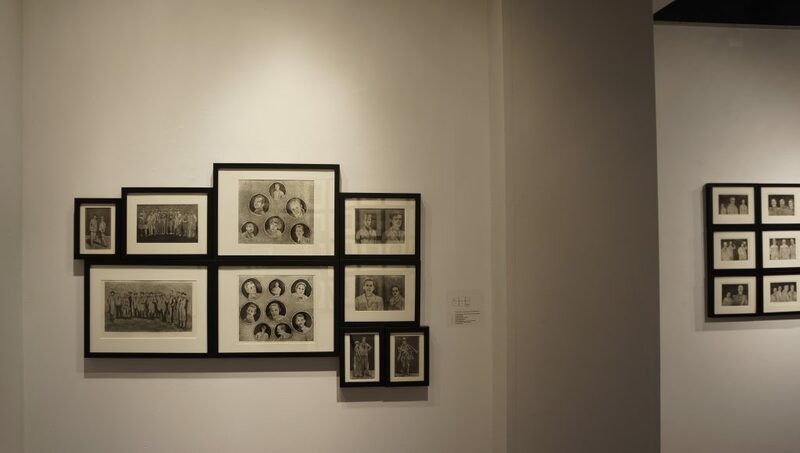 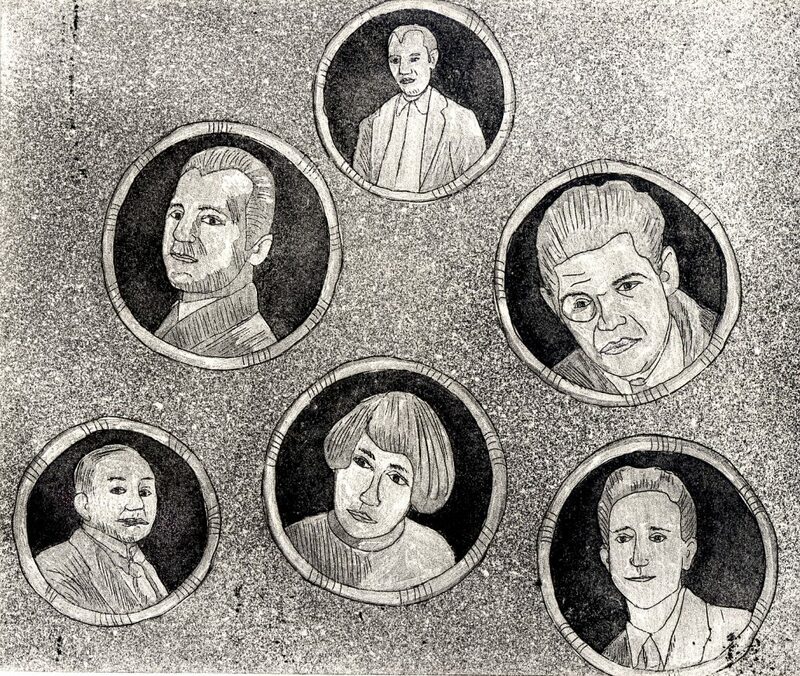 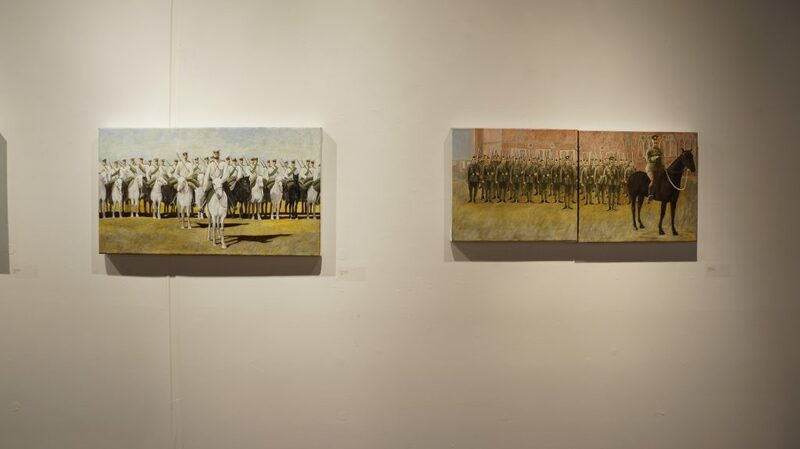 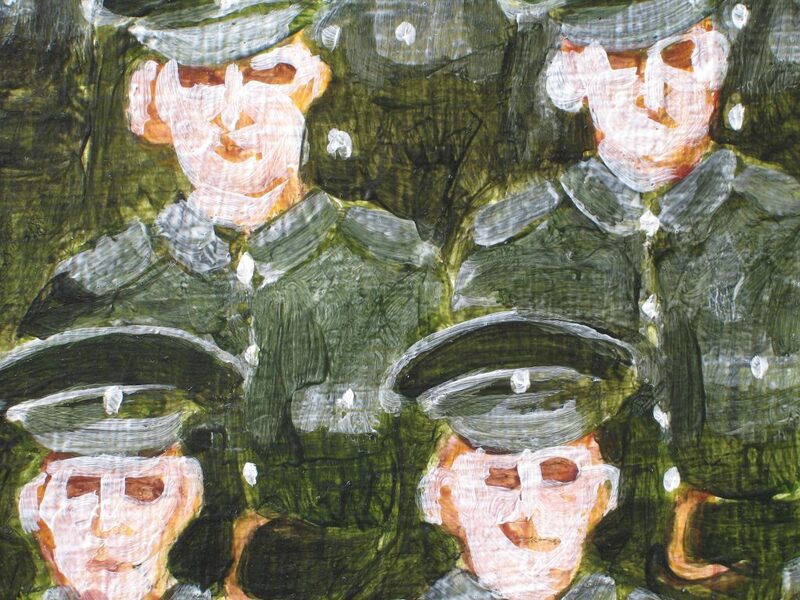 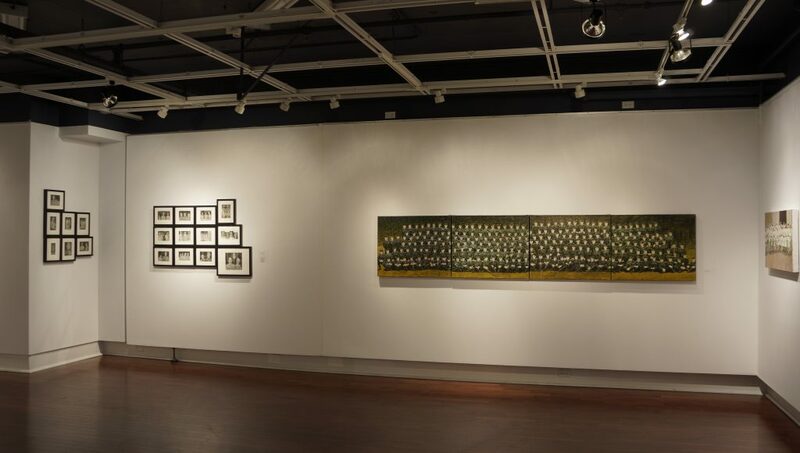 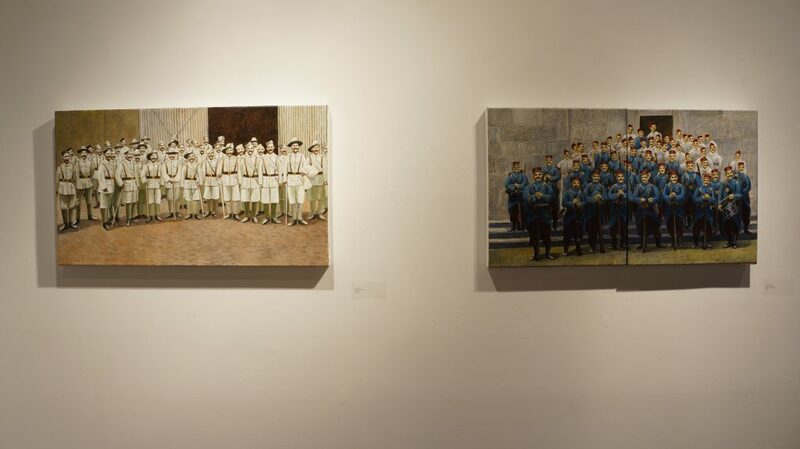 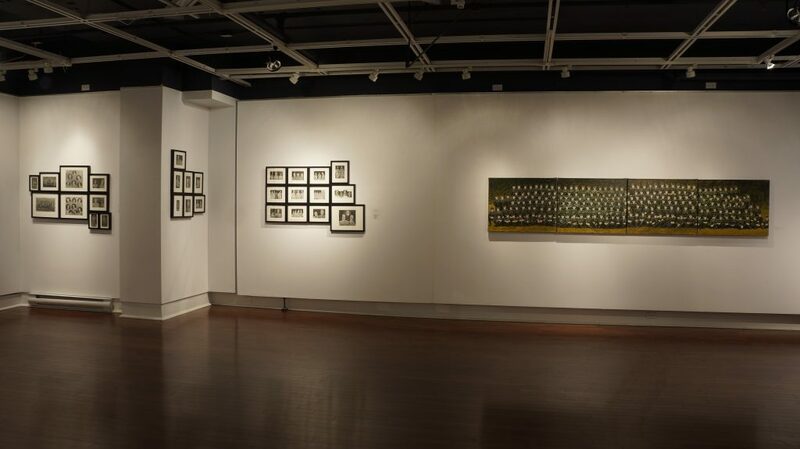 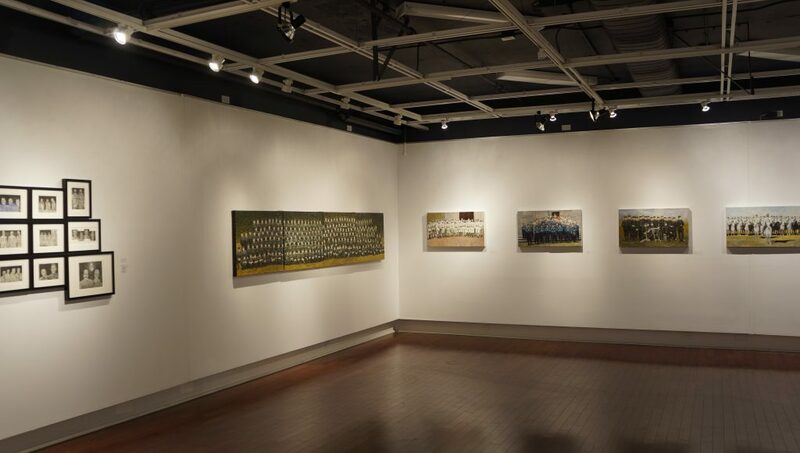 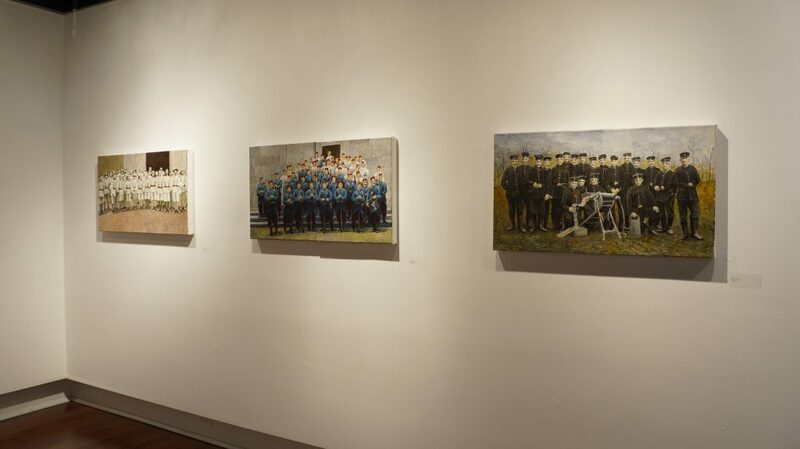 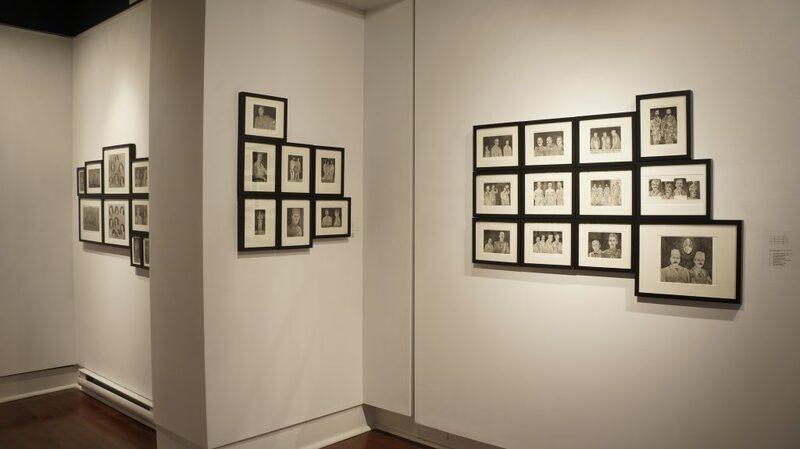 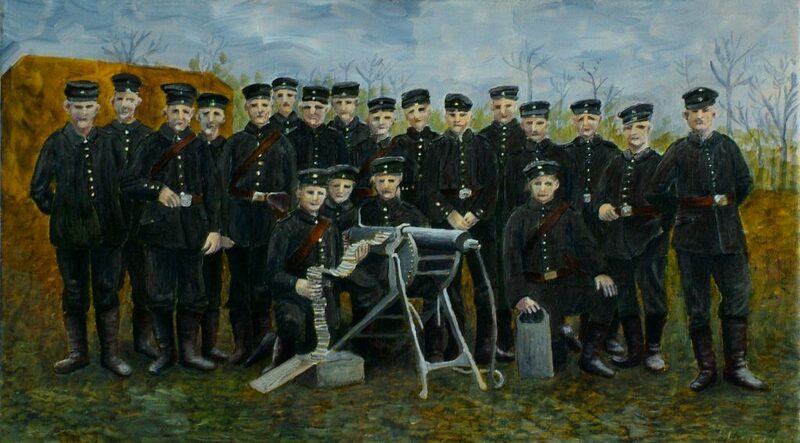 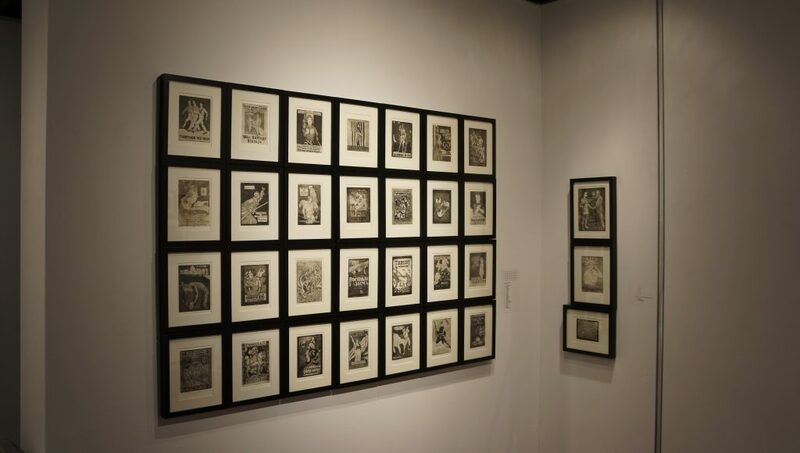 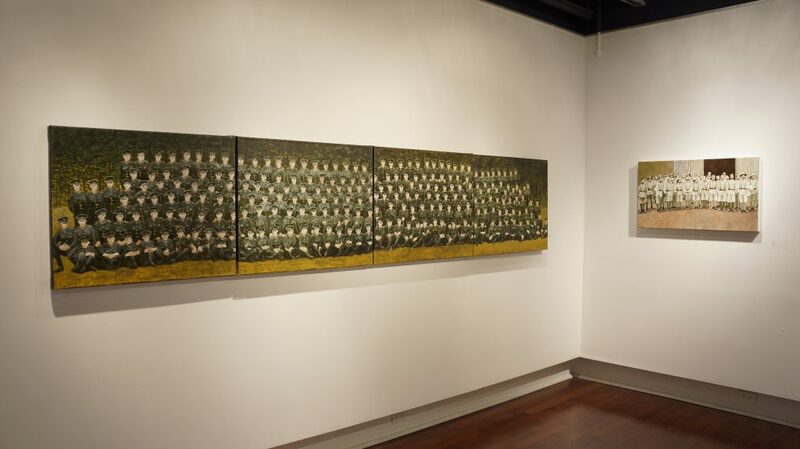 The series is divided into various groupings—soldiers and officers, monarchs and political leaders, avant-garde artist and organizations, future leaders and war propaganda. 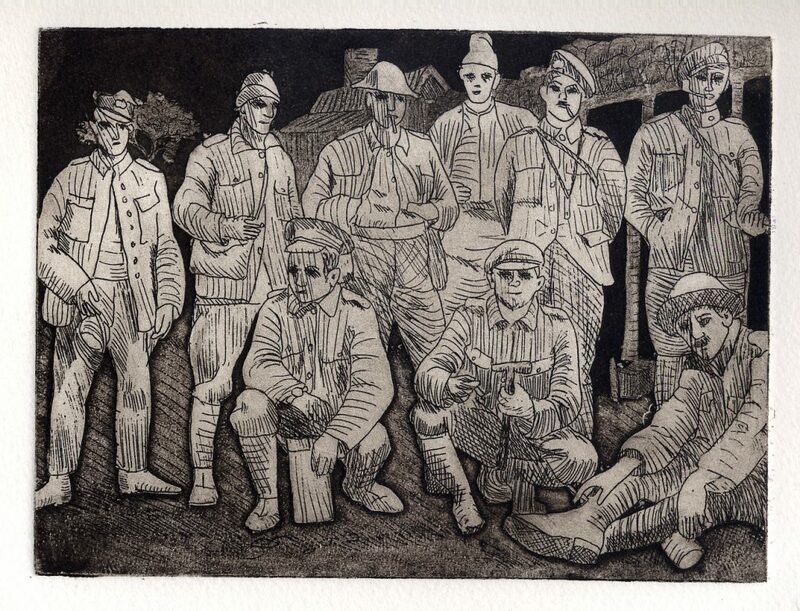 While these works are focused on the social and cultural mechanisms underwriting the First World War, they are nonetheless relevant in relation to international conflict today. 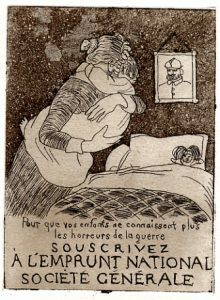 The retrospective look allows a long view of the nationalist and heroic rationalizations fueling engines of war.